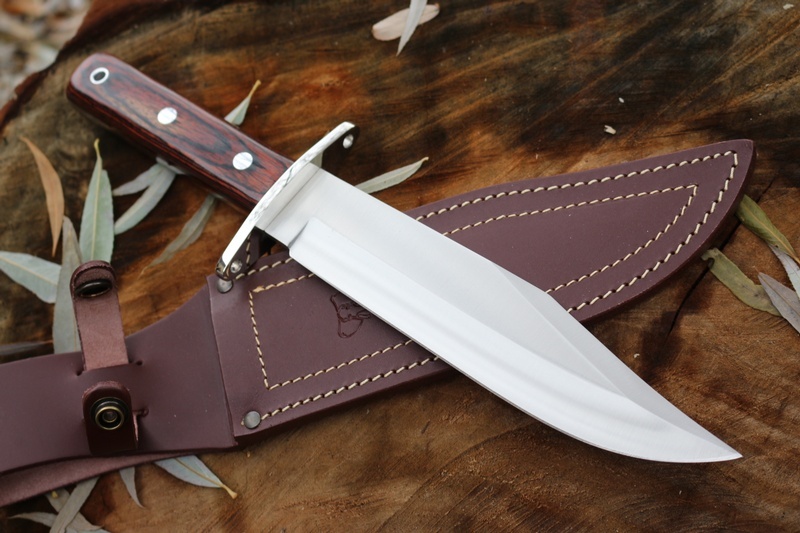 Classic large Bowie Knife from Cudeman, Spain. 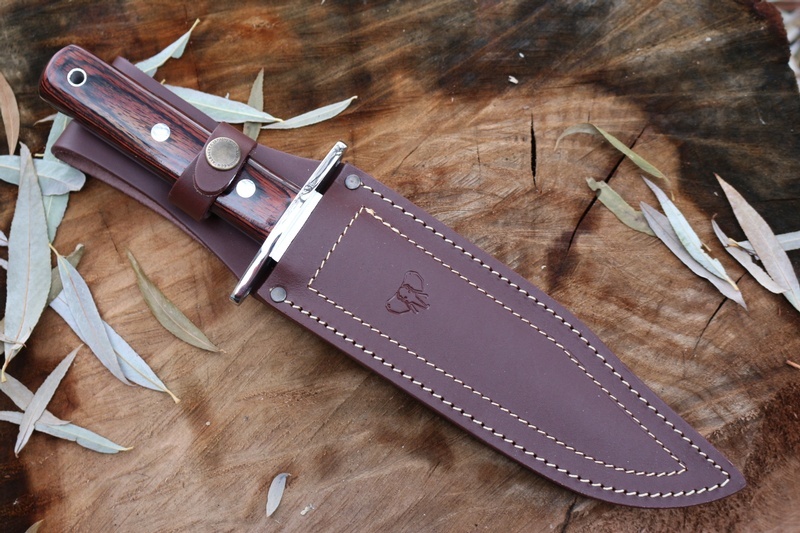 These type of knives were a mainstay of outdoor life in the West, offering an all purpose tool for the Camp and the Hunt. 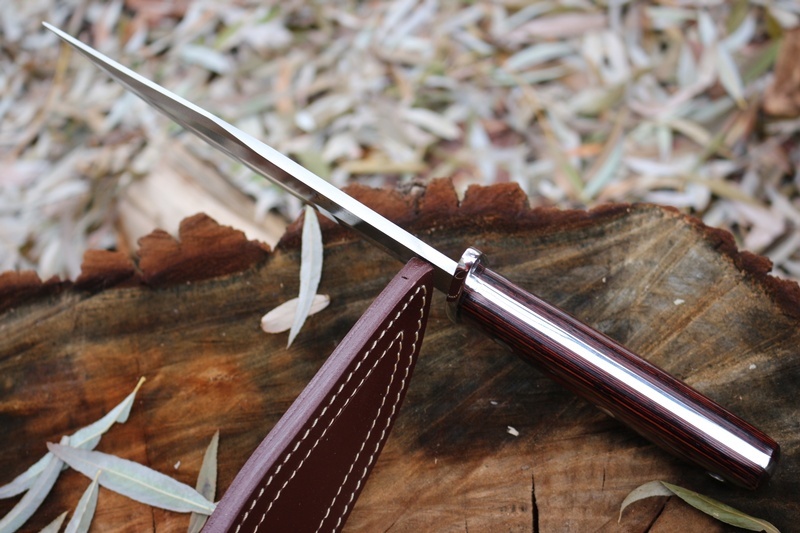 The 8in tapering clip point blade is a full 5mm thick giving great strength, combined with its full broad tang construction, heavy stainless pins and laminated wood slabs, its a very solid knife indeed. 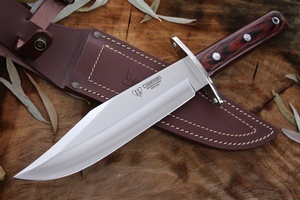 Purchase through PayPal by using the "Add To Cart" button above or use the form below to order the Cudeman Heavy Bowie . 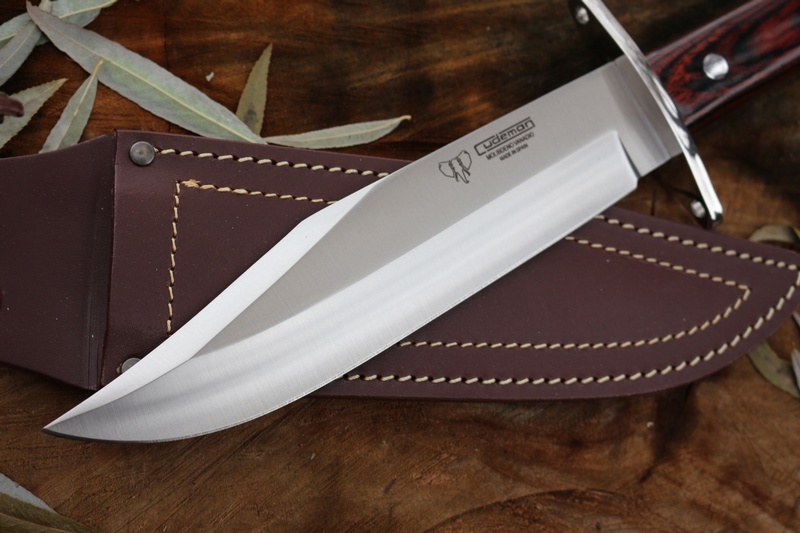 Feel free to contact us if you have any questions about the Cudeman Heavy Bowie .